Our Smartphone, tablets and iPads have become our most treasured and personalised pocession. As with emergence of various Smartphone models, comes various assessories that you can ever think of. There are mobile phone covers, casing and skins available for Samsung, HTC, iPhone and Nokia of various makes and models. There are so much of creativity that making gadgets and covers to ‘dress up the phone’ become an entirely lucrative industry by itself. 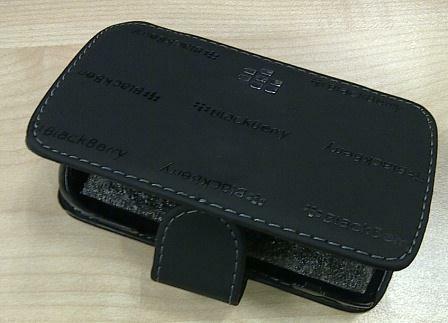 There are a number of selection for Blackberry Bold and Curve- but again when it comes to Torch- there was only a cover but not casing being sold. And the price is not cheap here as well. Still, you can find a good variety of covers- mostly imitation. Well, they are not really imitation- I guess it’s just that some company just manufacturer it at a cheaper price. It is where my friend recommend when I told him I had problems finding a phone casing for my Blackberry Torch. Note in 2018: Stores do not stock accessories for Blackberry anymore. 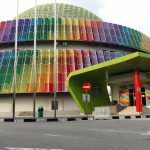 However, it is still true that Low Yatt plaza and Berjaya Times Square would have lots of shops selling covers for your mobile device. 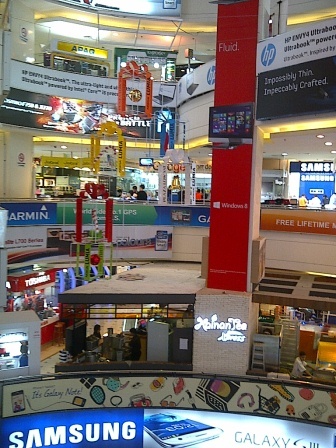 In Petaling Jaya, you can try Digital Mall– but the selection is not as extensive as Low Yat. Else, you can also try the night markets (pasar malam). Finally, there was a shop that sold me a casing for my Torch for RM30- the same casing was quoted at another shop elsewhere for RM49 (after discount). It’s called AShop or something located about 2 or 3 floors up the entrance. 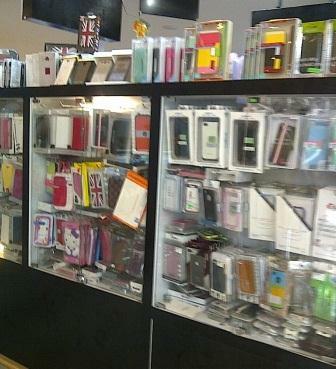 The shop sold all types of phone cover and casings for iPhone, Samsung, HTC and various tablets- you may bargain the price and check if they are willing to sell to you. It’s of course, imitation but like what my friends said, we need not necessarily need to buy original casing for the phone. A friend of mine spend more than RM100 for her iPhone casing and the casing broke after a few months. Finally she went and got herself a cute casing for RM15. Another friend had used a casing where she bought from the pasar malam (night market) for about Rm10 or RM15 and she had been using it for a few years. 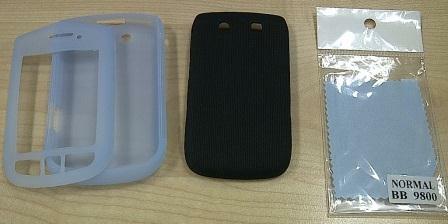 It’s actually a casing, like the above that protects the phone. 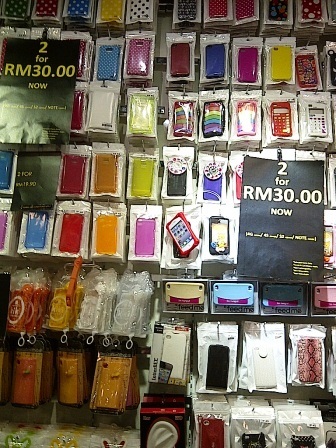 There was a shop in Sungei Wang that sold the above- 3 for RM10.90 but don’t allow me to try on the phone. The rubber cover (left side) was too loose. Well, after spending so long hunting for a phone casing for my Torch and finally getting the casing, I did not use it yet…..coz I find that it’s difficult to take out the media card each time. I take lots of pictures with my Torch- and the USB cable does not work that well so usually I would take out the micro SD card and plug it to my network via a card reader. Also, holding the phone with the cover feels a little heavy while I am typing. 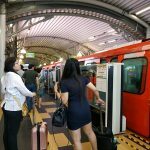 So well…..after so much of effort spend looking for a casing and finding it, I kept the new casing aside first and would likely use it when I am travelling. But hopefully, this article would help those of you who are staying in Klang Valley (Kuala Lumpur, Petaling Jaya, Cheras, Ampang, etc) who is wondering where to find a place that have a good variety of mobile phone casing and tablet covers at reasonable or cheap price- even for Blackberry phones which not easy to find shops that sell phone casing. 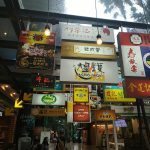 If you are visiting Kuala Lumpur, you can consider dropping by Low Yat Plaza, Sungei Wang and Berjaya Times Square that sells large varieties of gadgets and IT stuff.